The United State Congress has many bills in both the Senate and House of Representatives. All the bills are community pharmacy friendly. Bills that address DIR fees, generic drug pricing transparency, patient access to compounded medications to name a few. To read more about what is happening in the US Congress, check out the link below. The staff at SRS is dedicated to helping you and your staff manage the complexities of modern pharmacy life. With core technology that is powerful and reliable, not only will your pharmacy have fewer system troubles, but if the rare hardware issue occurs, SRS's built-in back-up systems will have the system operational usually within minutes. SRS Customer Support is staffed by CPhT techs so they not only know the system but know your business. With SRS, pharmacies can focus on customer care and the business of pharmacy, knowing that SRS is managing the pharmacy's technology. And with 98% customer retention, one can relax. SRS is not going to ignore any issue. One System, One Vendor, One Call. The key to maximizing efficiency and profitability is total integration. SRS software is designed to seamlessly integrate between different modules and devices. SRS's EPCS certified RxTwin technology means data and hardware redundancy. It's like having 24/7 hardware & system support with 30-minute response time, but without the hundreds of dollars of extra monthly charges. Offers critical advantages over other Linux and Windows® solutions. Each SRS Customer Support Personnel has real-life pharmacy experience with SRS pharmacy software, all of whom are Certified Pharmacy Technicians (CPhT's). Whether it's a question on how to handle an insurance override, a claim rejection or printing a nursing home MAR, SRS's Customer Support has done it. PKon Rx is the centerpiece of the SRS system. Rich in features and tightly integrated with other SRS-developed pharmacy management solutions, PKonRx addresses every aspect of pharmacy operations to make life easier and more productive. This allows pharmacy staff to focus on taking care of the customer and have no worries about the pharmacy system. Directly integrated with SRS's PKon Rx pharmacy management software, PKonScan allows scanning and storing images of physicians' hardcopy prescriptions. Also available is RPh Verify, which allows the user to view current fill information and compare it with the original scanned prescription, patient medication history, and patient fill history. Once thought to be a fixture in only large pharmacies, an efficient point-of-sale system is now a necessity for any pharmacy looking to more effectively manage their overall business. From complying with recent IRS regulations for FSA/HRA cards, creating a more accurate and efficient checkout process for customers, to managing pharmacy will-call bins, SRS's PKon POS is the answer. SRS’ new process for PMP reporting (m-PMP) is designed to help pharmacies more easily comply with state control substance reporting (PMP) laws. PKon provides automatic reporting to multiple states. m-PMP reports controlled substance prescription data that is sold, shipped or delivered to states outside pharmacy’s home state. PKon Shipping Manager is an integrated system to handle prescription shipment from the pharmacy to patients and medical facilities. Easily print FedEx, UPS, or USPS shipping labels and track shipment status, all from within PKon POS. PKon Delivery Manager is an organized system to track prescription delivery from the pharmacy to the patients home or LTC facility. Easily manage payments, collect signatures, and report any exceptions using an Android tablet. eSignature replaces the standard paper signature log, assisting with collecting patients' signatures for Federal and State law compliance, in addition to easing the retrieval of signatures for business or third party audits. Developed by SRS and tightly integrated with PKonRx and PKon POS, eSignature is the perfect solution for today's ever-increasing privacy requirements. When a full-scale nursing home management system isn't needed, there is PKon MAR. Designed for pharmacies serving nursing home, assisted living or group homes that require Medication Administration Records (MARs), this streamlined program is affordable, versatile and easy to use. Integrating seamlessly with the PKonRx pharmacy management system, PKon MAR saves time and effort in patient or prescription data entry. PKon MAR also supports laser forms, eliminating the need for expensive preprinted forms. Managing customer calls is vital to a well-functioning pharmacy. PKon IVR allows for management of all aspects of customer calls, 24 hours a day, 7 days a week, from messaging to inquiring of prescription status, to forwarding of phoned-in refills directly to the PKonRx Refill Queue. Directly integrated with PKonRx, IVR provides pharmacies with the "always on" technology that more and more customers are coming to expect from their pharmacy. Keeping an eye on the bottom line can be a full-time job. That's why SRS developed Receivables. This versatile two-in-one program features a major medical billing system and an in-store charge program. Receivables provides medical invoice and statement generation along with transaction histories and tracking systems. It is fully integrated with PKonRx and POS so that patient and prescription information is shared, eliminating dual entry time. Historical information is easily accessible so that when a customer needs a copy of an invoice or statement, reprinting is only a matter of a few keystrokes. With smartphones gaining in popularity, SRS offers a mobile solution for you to provide yet another way for your customers to order refills. By simply scanning a square barcode located on the bottle label, customers can order refills 24/7, saving valuable time! Directly integrated with PKonRx, the Smartphone Refill App provides pharmacies with the technology that more and more customers expect from their pharmacy. Patients save time and pharmacy satisfaction increases with SRS's mobile text messaging service, PKon RxReady. With PKon RxReady, patients are notified via a text message when their prescriptions are ready for pick-up. Reduce "is my prescription ready?" calls to your pharmacy. PKon RxReady additionally allows custom reminders and dialogs with patients. As a Surescripts® certified pharmacy software system, SRS's PKonRx pharmacy management system allows for the receipt of e-Prescriptions directly into the PKonRx RxQueue as well as the sending and receiving of electronic renewal authorization requests to physicians connected to the Surescripts® network. Pharmacies can rest at ease knowing that their system is EPCS (Electronic Prescriptions for Controlled Substances) certified by the leading, federally accredited, certifying body - Infogard. Data loss translates to lost revenue and lost customers, which can have long-term and devastating effects on a business. Findings from the Contingency Planning Group and the Strategic Research Corporation show that 43% of U.S. companies which suffer from irretrievable data loss never reopen. Of the companies that do reopen, 29% close down within two years. Having data restored immediately is crucial to you getting back up and running and providing much-needed medications to your loyal customers. Tired of manually faxing refill requests to physicians? Save time and money by automating this task with Auto-Fax. More than just a fax dialing program, Auto-Fax is a fax monitoring system. Quickly select prescriptions from the Patient Profile or during the Fill process and electronically fax New Prescription, Prior Authorization, Step Therapy or Drug Substitution requests to the physician without any manual intervention. Auto-Fax notes the time, date and completion of the fax to the physician. Few can argue that the federal 340B program offers important access to critical medications for those in need. But, it's also challenging for a pharmacy to manage both the typical retail needs as well as the needs of 340B retail such as reporting, dispensing activity, tracking and separate inventory maintenance. SRS's integrated retail 340B program removes the once-burdensome barriers by providing an affordable, easy-to-use pharmacy management system perfectly-suited for a mixed-use retail pharmacy setting. With constantly changing pharmacy workflow and labeling requirements, SRS meets the need with our thermal printing solution from Zebra Technologies. Offering fast print speed, quick throughput, compact design and simple, yet rugged construction, thermal printers are a cost-effective alternative to laser printers for refill prescriptions, nursing home unit-dose labels, or as an emergency backup printer. With easy controls and a proven side-loading design, replacing and knowing when to restock labels is as easy as 1-2-3. Tired of tracking staff hours the old-fashioned way? Automate time tracking with TimeClock. It's simple for an entire staff to use with easy access to clocking in and out and confidentiality is assured with employee pin access. Track hours worked as well as vacation and sick time, and produce complete time tracking reports. Amplicare’s easy-to-use, time-saving pharmacy tools highlight healthcare opportunities that positively impact pharmacists and their patients. ASAP's mission is to foster understanding of the role that technology plays in assisting pharmacists to promote patient safety and the proper use of medications, comply with laws and regulations, and operate their practices more efficiently by providing a forum for sharing diverse knowledge and perspectives on the modern practice of pharmacy. Formerly know as Emdeon, Change Healthcare services providers, payers and pharmacies. Change Health is SRS's primary claims switch for transmitting insurance claims to PBM's. covermymeds seamlessly integrates with EHR systems to provide hospitals and prescribers with ePA functionality at the point of prescribing. Dispill is a multi-dose packaging system to help patients adhere to their medication schedules. SRS's interface with Dispill simplifies the pharmacy workload by sending dispensing information to the Dispill system, avoiding double entry of prescription information. Endicia's electronic postage solutions make it more manageable and affordable to ship and mail through the U.S. Postal Service. ECP assisted living software is a web based software for assisted living facilities. ECP speeds up the process of getting orders from the pharmacy with electronic charting, remote accessibility, and medication reports. Eyecon's automated prescription counting technology provides the pharmacy with improved prescription filling speed, accuracy, and NDC validation. SRS's interface sends patient name, prescription number, NDC, and quantity dispensed to the Eyecon unit. Barcode scanning at the Eyecon unit confirms patient, NDC, quantity dispensed, prescription number, and stores accurate counting records for future inquiries. Using SRS's graphical features, pharmacy staff can review, on screen, records of past fills if needed. ERX Network is a high-speed pharmacy network that provides comprehensive, flexible solutions for pharmacies that are designed to integrate into existing workflows for maximum efficiency. FDS is a national provider of medication adherence, patient communication, pharmacy data analysis and medication synchronization services for independent pharmacies. FDS also offers reconciliation and DME (durable medical equipment) billing and prior authorization services. Community pharmacists can use FDS to better manage the health of their patients and their business. FedEx Corporation is an American global courier delivery services company headquartered in Memphis, Tennessee. IQVIA is committed to bringing clients the best in creative problem solving, enabling healthcare companies to innovate with confidence, maximize opportunities, and ultimately drive human health forward. Take the hassle out of payroll. InterMed provides full payroll services including EFT, W-2, payroll deductions, 401(k), FSA, and HRA. InterMed also provides health benefits for you and your employees. Kirby Lester provides pharmacies with automated counting technologies from countertop models to floor models.The SRS interface sends prescription fill information to KL units. PDR provides event-driven and clinically relevant healthcare messaging through its patented process that improves patient compliance and outcomes, while preserving privacy. Macro Helix provides software solutions to help covered entities and contract pharmacies navigate the operation, financial, and regulatory complexity of today's 340B. Medicat is a clinical tool for managing patient health. Improve clinical workflow and staff productivity with access to Medicat's National Client Template Library. Medicine-On-Time provides packaging products that produce an average medication compliance rate of 95.7%, and has been scientifically proven to provide real protection against nursing home admissions. Mevesi provides health care systems the ability to build a network of pharmacies. Mevesi sends electronic referrals of at risk patients, wellness, and other programs to pharmacies to provide patient support in the community. Monetra is a fast, efficient and secure payment application designed to scale from small custom embedded devices to fully redundant payment servers processing thousands of payments per minute. Monetra has been a trusted name for over a decade by thousands of merchants throughout North America. Mutual Drug Company is a wholesaler for independent pharmacies in North Carolina, South Carolina and Virginia. Formed as a cooperative, Mutual Drug is owned and managed by pharmacists. Nielsen is a leading global information and measurement company that enables companies to understand consumers and consumer behavior. Nielsen measures and monitors what consumers watch and what consumers buy on a global and local basis. NCPDP provides a forum for the development of business solutions, including ANSI-accredited standards, and guidance for promoting information exchanges related to medications, supplies, and services within the healthcare system. Net-Rx, an MHA solution, has specialized in providing operations and technology-driven services exclusively for the pharmacy community, long term care, and chain pharmacies. Parata provides pharmacy technology solutions that support business growth, better health outcomes, and lower medical costs with high-speed pharmacy dispensing automation. PDN is a healthcare data combinator that takes variables in diverse data libraries and combines them to create one common database for use in the healthcare sector. Collaborating with various healthcare systems, PDN has created one standard interface where healthcare data can be entered, collected, stored and shared across all systems involved in the network. 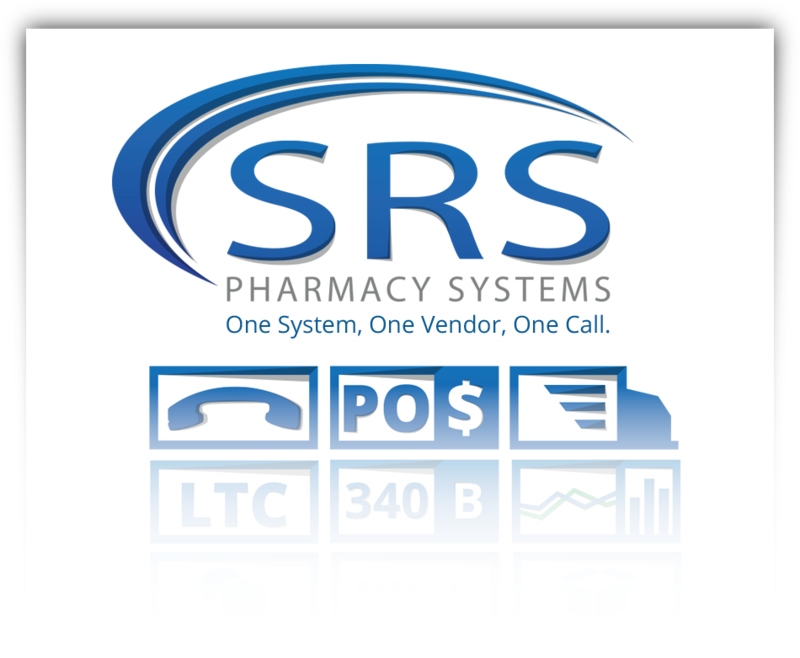 SRS Pharmacy Systems has partnered with Pleio, Inc to support community pharmacy’s goal of exceptional customer service and increasing CMS 5 star ratings. Point and Click Solutions provides a complete suite of products designed specifically for practice management, including electronic health records, a patient web portal and advanced reporting specifically tailored to college health centers. ProMed Delivery specializes in customized delivery for a variety of industries throughout Michigan. ProMed provides both Same-Day and NextDay deliveries while offering flexible pick-up times, electronic scanning, commercial, and residential deliveries. Prescribe Wellness provides pharmacy software solutions to promote medication adherence, makes medication syncronization easy, create a better patient experience, and improve patient outcomes. QuickMAR is an electronic MAR software program to improve efficiency, reduce potential for errors, and enhances profitability while greatly increasing the quality of medication administration. RelayHealth provides clinical connectivity to physicians, patients, hospitals and more using innovative health information technology. RepeatRewards is a full service marketing firm focused on giving businesses of all sizes the tools needed for success. is a full-line wholesaler priding themselves on serving community retail pharmacy and home healthcare dealers. They offer all of today's modern technological advancements and an assortment of programs designed to give stores true advantage. Retail Insights, LLC is able to take many different data feeds in different formats and bring them together to provide easily customizable excel based reporting for additional analysis. RxMedic is a dispensing technology for pharmacies that allow for quick and easy prescription filling and dispensing. Pharmacy automation has been known to maximize profitability and free up staff for patient counseling, insurance matters, delivery services, and others duties. ScriptPro provides integrated robotics-enabled systems to optimize retail and ambulatory pharmacy services for specialty pharmacy services, high-risk/high-cost medications, 340B programs, and home-based patient medication adherence. Sentry Data Systems Provides technology solutions that help healthcare providers address some of the biggest challenges in the pharmacy: analytics, procurement, drug utilization and compliance. Surescripts connects pharmacies, care providers, benefit managers, and technology partners to get the right information to the right place at the right time. Symphony Health Solutions provides thorough data and powerful analytics to help professionals understand the full market lifecycle, from predictive market analysis to patient influence, physician prescribing, pharmacy fulfillment, payer reimbursement, and sales compensation. TCGRx provides robotic services for retail, long term care, and hospital pharmacies. Services include packaging solutions, inventory management, and adherence/MTM. TranSafe® is a modern payment gateway service provided by Main Street Softworks, Inc. It enables businesses to accept credit/debit/gift cards via any commerce channel through one managed system. EMV, magnetic swipe, contactless, manually-keyed, mobile and eCommerce transactions are all supported with point-to-point encryption and Tokenization for card data protection. UPS is the world's largest package delivery company and a provider of supply chain management solutions. Please provide a primary method for contact.